According to Greek Mythology, the Amazons were a tribe of entirely female warriors. It was believed that the Amazons lived in Themiscyra near the Black Sea. This area is now Turkey, Eastern Europe. The Amazons were famous for being all women and for hating men. No men were allowed to live alongside the Amazons. They were an entirely female tribe. In order to continue to produce future generations, Greek Mythology says that the Amazon women used to go and visit the nearby male tribe, the Gargareans, once a year. The Gargareans was a tribe made entirely of men, and the Amazons used them purely for procreation, sometimes forcing the men to mate with them. Neither the Amazons nor the Gargareans could survive unless the two tribes came together to create children. However, the Amazon women hated men so much that they would only keep the daughters that they gave birth to. Any male children were killed, left to die in the forests or returned back to their fathers in the Gargarean tribe. The most famous Amazon queens were Queen Penthesilia and her sister, Queen Hippolyta. Penthesilia took part in the Trojan War: the infamous mythical battle between the Greeks and the Spartans at the city of Troy. Greek Mythology says that Queen Hippolyta was given a magic girdle by her father Ares, the Greek God of War, and later obtained by Hercules during the ‘Labours of Hercules’. 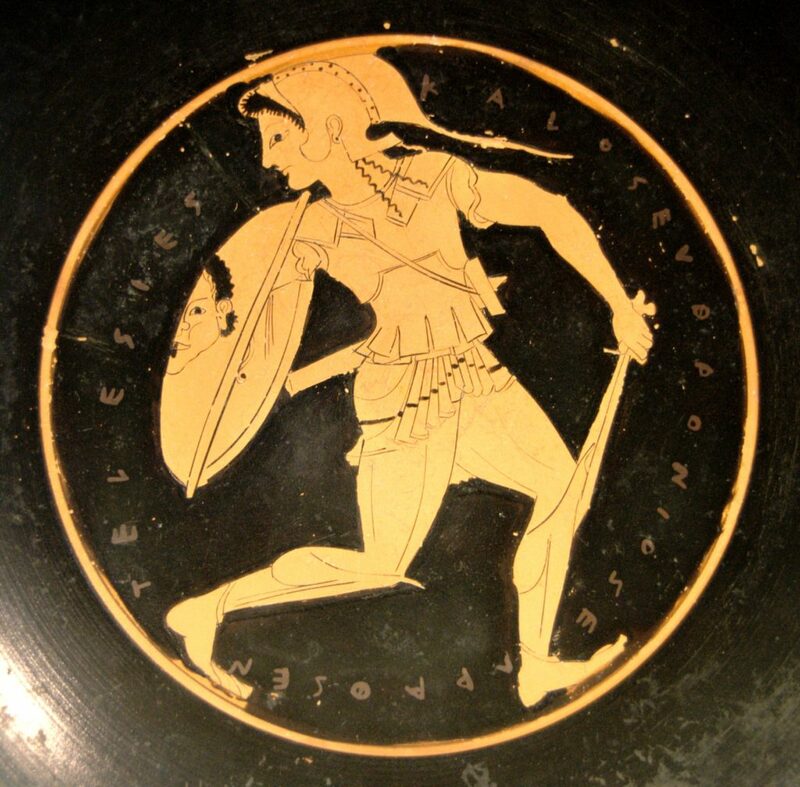 The Amazons took part in many battles and fought (and lost) against Hercules, Theseus and Bellerophon. The Amazons mostly fought using spears, and bows and arrows. Greek Mythology states that Theseus fell in love with one of the Amazons named Antiope. The Amazons later went to rescue her but Antiope was killed during the battle. Queen Penthesilia was killed by Achilles whilst in battle. Queen Hippolyta was killed accidentally by her sister, Penthesilia, with a spear whilst out hunting. The Amazons are said to have founded the cities and temples of Smyrna, Sinope, Cyme, Gryne, Ephesus, Pitania, Magnesia, Clete, Pygela, Latoreria and Amastris. The Amazons were a popular subject of Greek art and were often painted onto pottery. Legend has it that the Amazons were one-breasted women. Legends say that the women removed a breast in order to use their bow and arrows more easily. After the Amazons had mated with the male Gargareans, they often forced the men into slavery.